Over the years, Chicago doom / noise band Lord Mantis have made a name for themselves within the underground metal scene alongside fellow local metal bands like The Atlas Moth and Yakuza. Their last album, Pervertor (Candlelight Records), brought them recognition within doom and even black metal circles, assisted by the fact that the band features current and former members from Indian, Nachtmystium, Abigail Williams and Avichi. 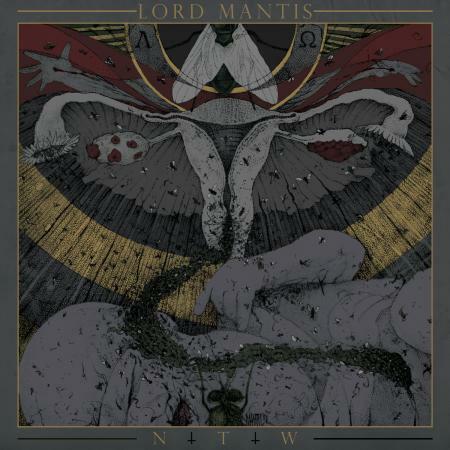 With their third album, Lord Mantis present their most devastating and triumphant work to date. Death Mask is a much darker, doomier and more experimental offering destined to bring further recognition to Lord Mantis among the doom / black / noise metal elite, who will herald them as one of the best and most twisted underground metal bands hailing from America.